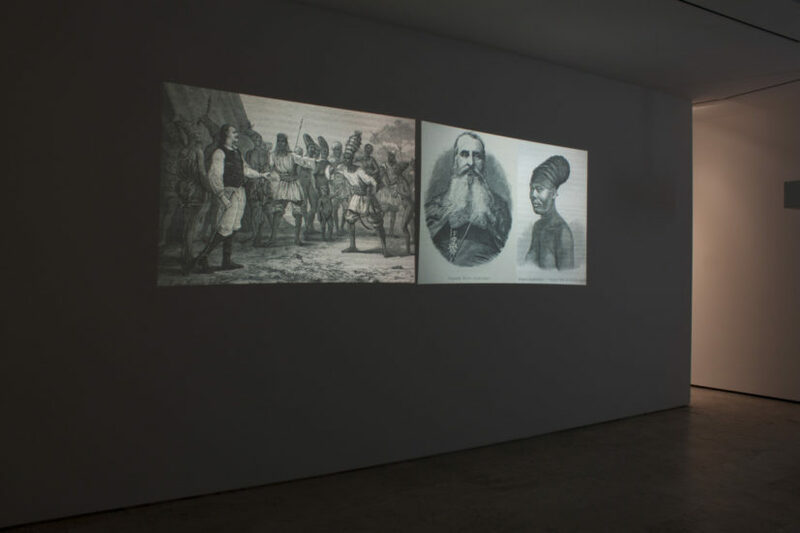 Kader Attia’s practice explores the legacy of colonialism on Western and non-Western cultures. During his childhood, the artist spent time with relatives in Algiers as well as in the Paris suburbs. Growing up between two countries – a former colonising power and colony – was key in shaping his identity. Inspired by the anarchist philosopher Pierre-Joseph Proudhon and the anti-colonial thinking of Frantz Fanon, Attia is concerned with strategies of ‘reappropriation’ through which non-Western cultures can be reclaimed from colonisation. By first acknowledging the ‘dispossession’ that occurs when the influence of non-Western world on Western society is disregarded, Attia believes that ‘repair’ can then be achieved through cultural exchange. Dispossession (2013) is an installation that examines the role of Christian missionaries in the colonisation of African cultures. The Vatican has a collection of over 80,000 rarely shown African artefacts brought back to Europe by missionaries during the colonial era. 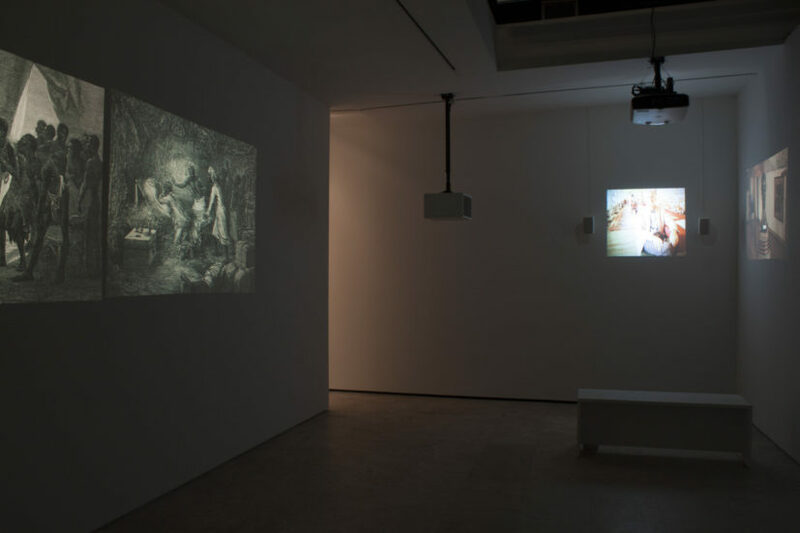 These objects are presented as slides alongside a video series of four interviews conducted between Attia, an anthropologist, an art historian, a priest and a lawyer. 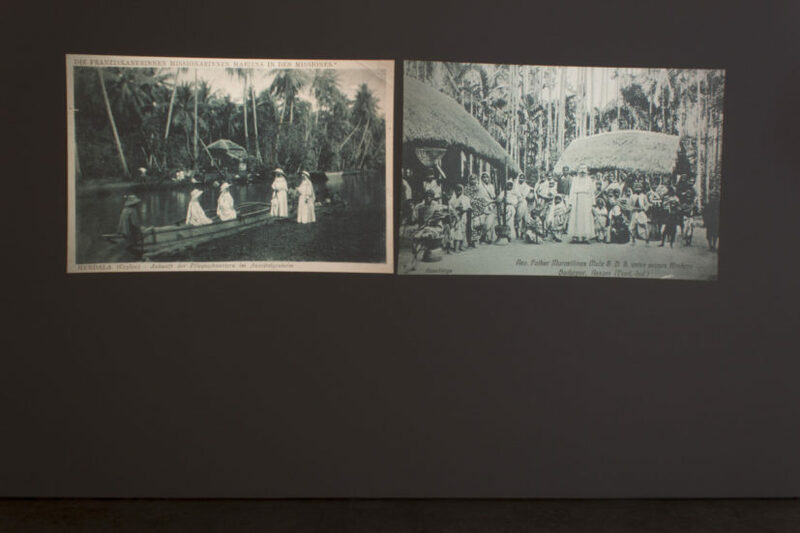 The subject of repatriation is central to the installation as it considers the political and psychoanalytical questions that arise from the collecting of these objects. Kader Attia (b. 1970, Dugny, France) is a French artist of Algerian descent. He has had various solo exhibitions, including at the Museum für Moderne Kunst, Frankfurt am Main, Germany (2016); Musée Cantonal des Beaux-Arts, Lausanne, Switzerland (2015); Kunst Werke, Berlin (2013); Musée d’Art Moderne de la Ville de Paris (2012); Institute of Contemporary Art, Boston, MA (2007). His participation in group shows has included Foreign Gods: Fascination Africa and Oceania, Leopold Museum, Vienna (2016); But a Storm Is Blowing from Paradise: Contemporary Art of the Middle East and North Africa, Solomon R. Guggenheim Museum, New York (2016); Picasso in Contemporary Art, Deichtorhallen, Hamburg, Germany (2015); The Divine Comedy: Heaven, Purgatory, and Hell Revisited, National Museum of African Art. In 2016 he was the winner of the Marcel Duchamp Prize, Paris.